In this episode, freelance reporter Beth Baldwin talks about some of the goings-on at the recent annual meeting of the Society for Molecular Biology and Evolution, entitled "Genomes, Evolution, and Bioinformatics." 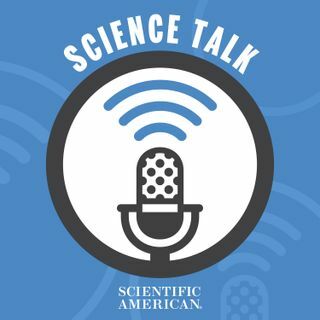 And Kate Wong, Scientific American's paleontology and anthropology expert, talks about recent findings in human evolution as well as a new, unusual dinosaur discovery. Plus, we'll test your knowledge about some recent science in the news. Organizations and ... See More websites mentioned on this podcast include the Society for Molecular Biology and Evolution, http://www.smbe.org; the conference page, http://www.smbe.org/geb; the Paleoanthropology Society, http://www.paleoanthro.org; the Scientific American blog, blog.sciam.com; the Scientific American Digital Archive, www.sciamdigital.com.